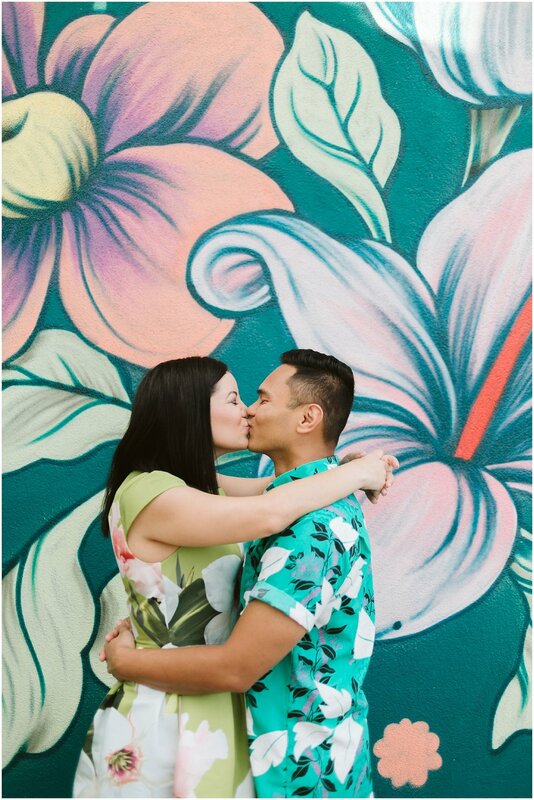 I love getting out of the typical "Hawaii" norm of engagement sessions every once in a while and Karla & Sam's engagement session with the Kakaako graffiti in downtown Honolulu was every bit worth it! 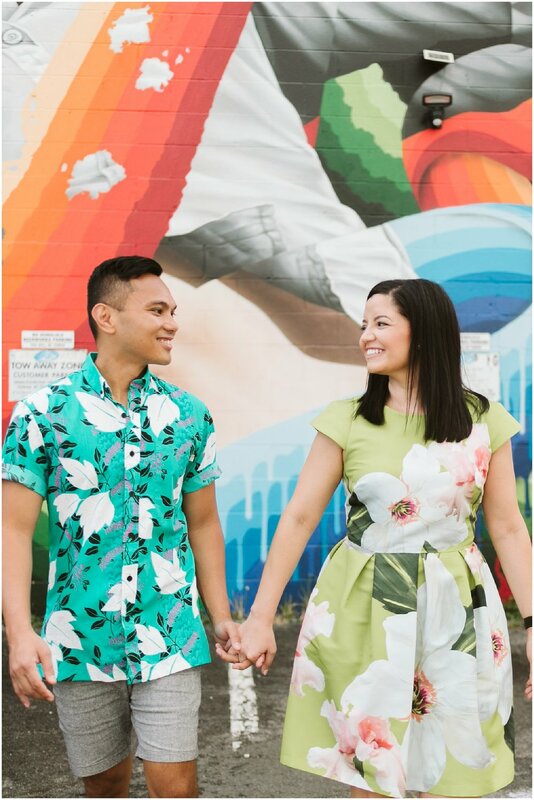 They both live in downtown and often jogged around this area of Kakaako! 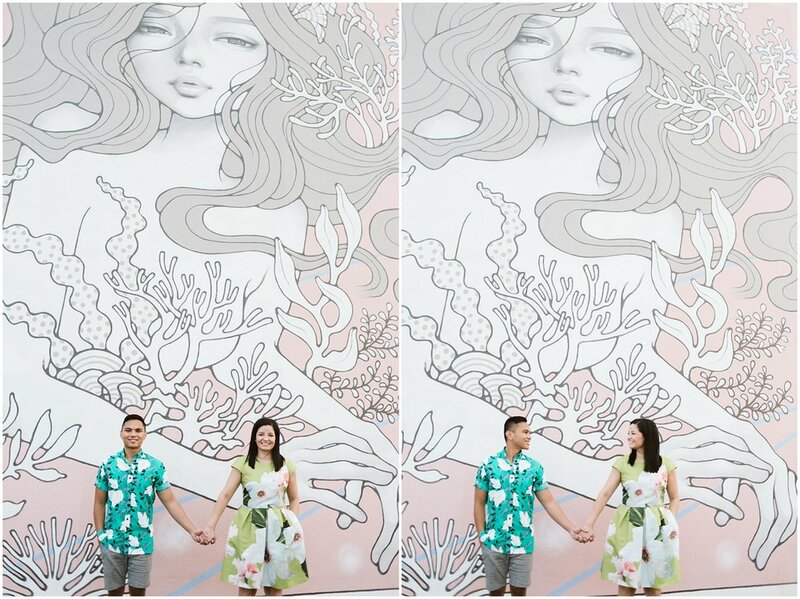 She told me they loved how colorful and lively the graffiti was that they couldn't imagine doing it anywhere else! So to Kakaako we headed! There are so many talented works of art featuring artists from Pow Wow Hawaii every year. I had a hard time not finding a wall we didn't like! 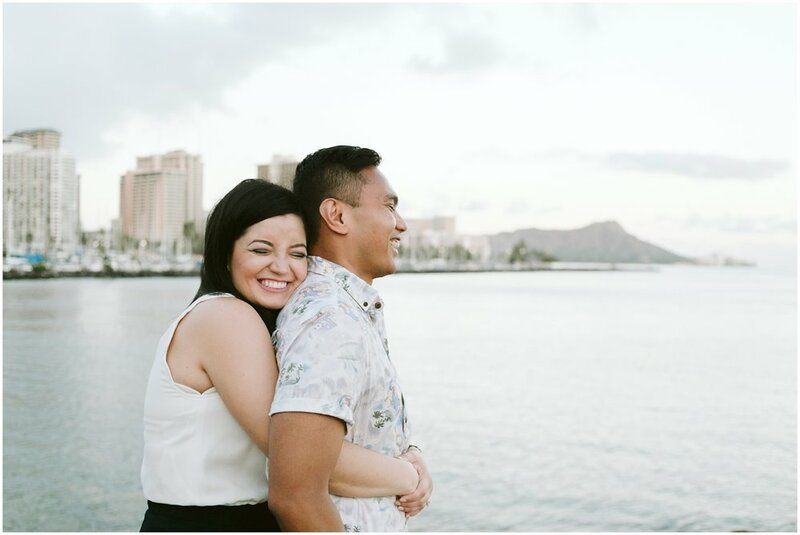 We probably walked 3 blocks by the time it was time to head to Magic Island at Ala Moana beach park for sunset! 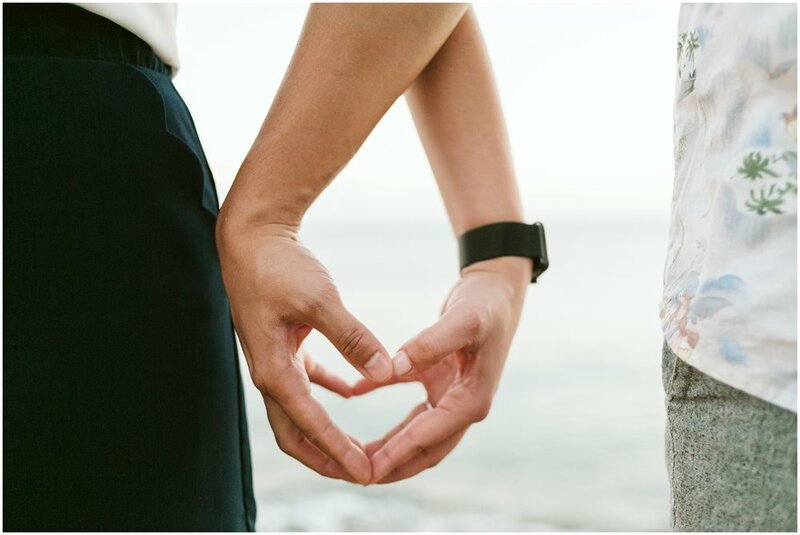 It only felt right to have the magical Hawaiian sunset and the classic view of Diamond Head to end their engagement session!